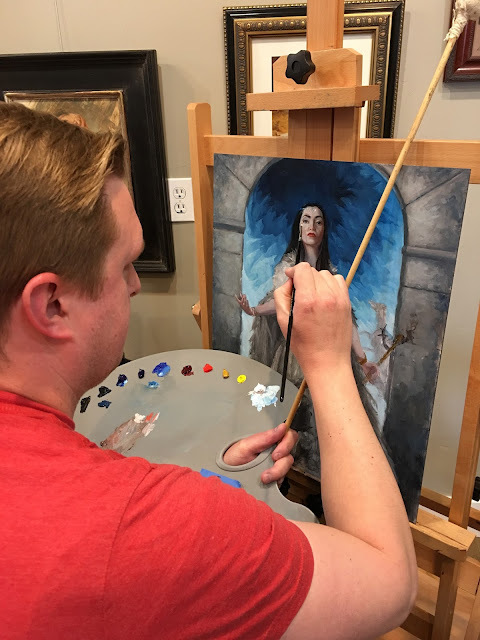 Last September I decided to open up my studio and try teaching a workshop. I went with a 12 week format, with the class meeting Wednesdays for lecture and hands on instruction and Thursdays being open studio. 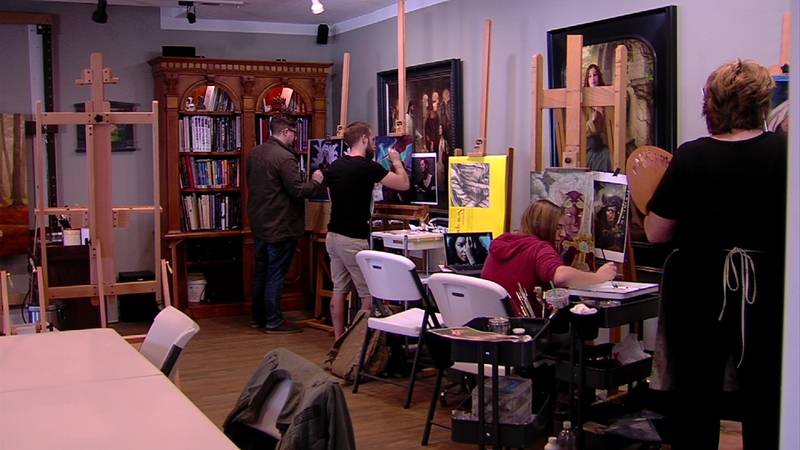 From left to right: Adam Dove, Chase Henson, Kaitlund Zupanic and Susan Edwards in the studio. 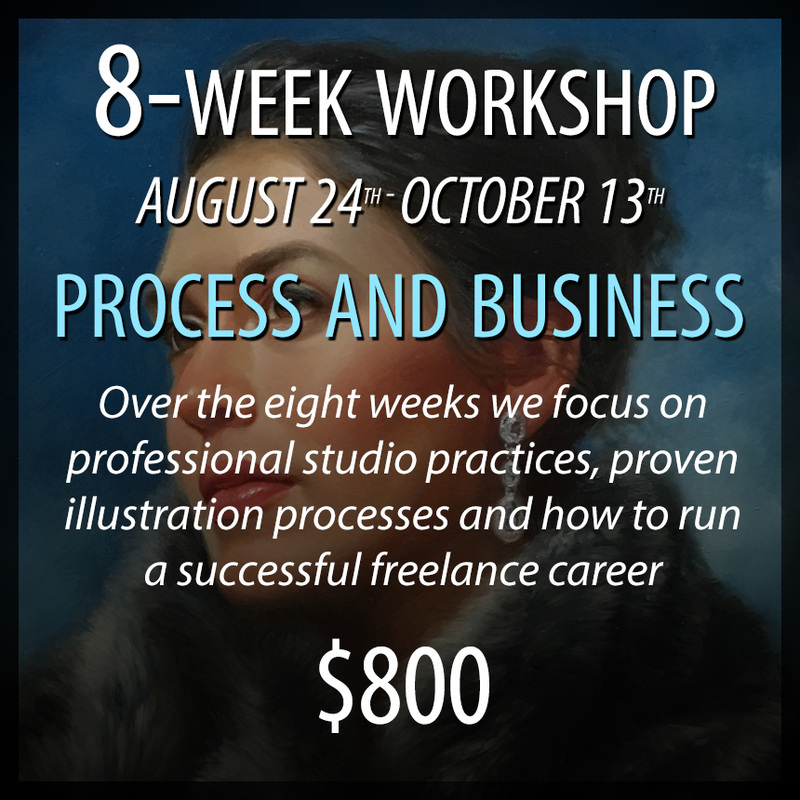 That workshop wrapped up in December and after the new year I started another 8 week workshop. I am relatively new to teaching but it quickly became apparent that I was going to be learning as much, if not more than the students enrolled. 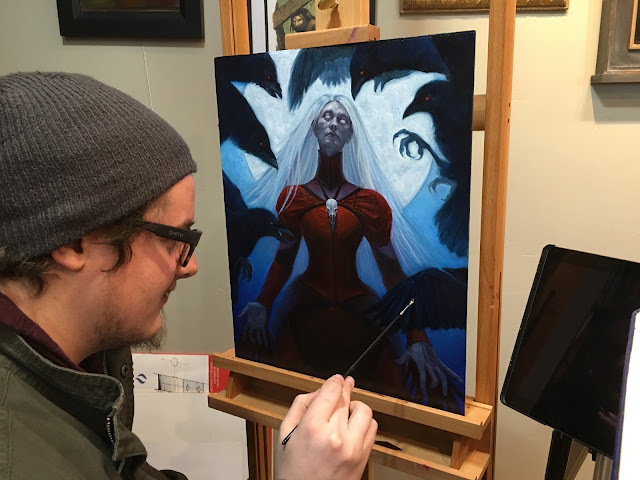 I know this isn't a new experience, you hear it often from teachers, but I didn't realize how true it would be with painting and drawing. Teaching has helped to strengthen my foundations and bring clarity to my thoughts. A real gift from my students. I have been lucky to have some wonderful students. 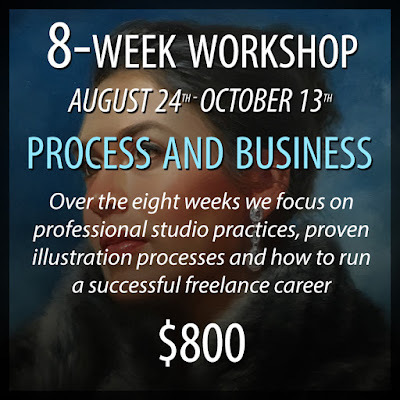 Over the course of the workshops we focused on developing solid painting processes as well as business practices. My wife, Shari, who runs much of my business also taught portions of the workshops sharing what she has learned about prints and distribution, social media promotion and business practices. Shari even contacted the local news and they came out and did a small segment for the local news, you can watch it here. 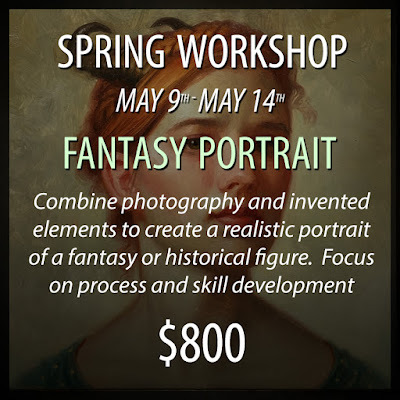 I am going to be trying out a couple 6 day workshops in May and July. 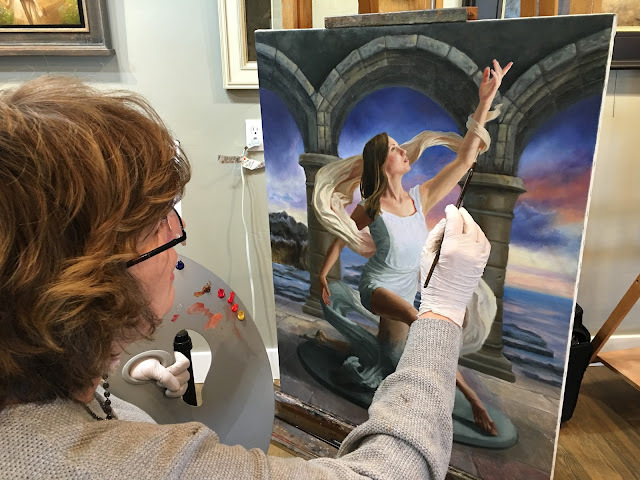 The schedule for the workshop will be a little grueling (10:00 a.m. to 10:00 p.m each day), but I want to make sure there is plenty of time to share experience and to give plenty of time for people to paint. At IMC, it seems like the work really gets rolling about 10 p.m. so we will see if that is enough time! 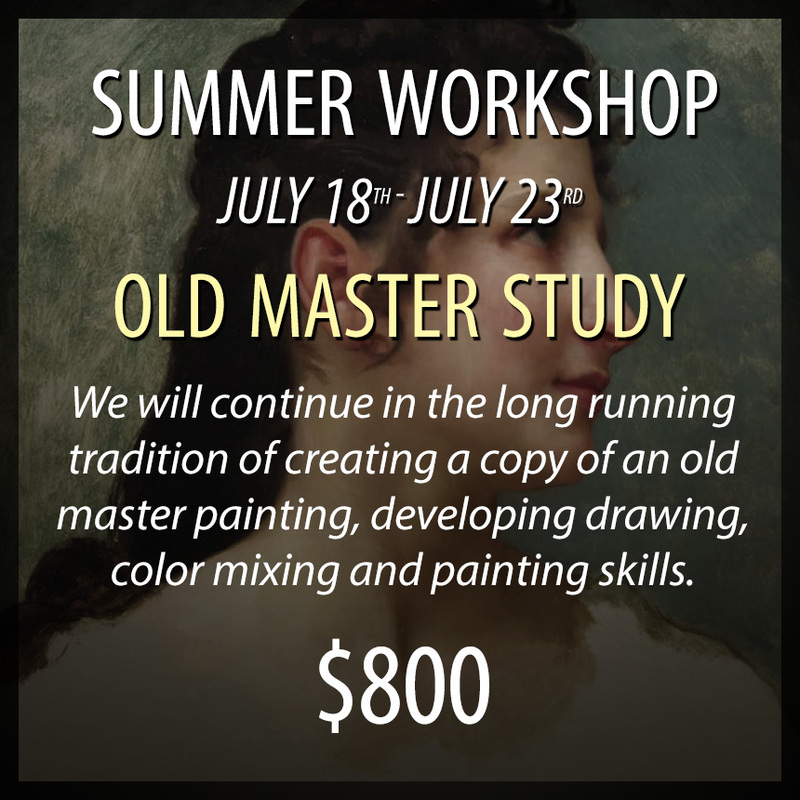 I am also going to be giving an old master study workshop this summer. I have found that doing a copy of someone you admire opens up many ideas and develops skills at the same time. 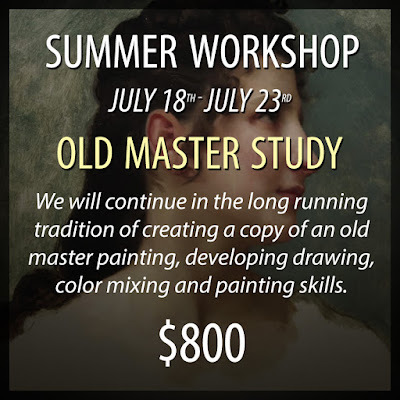 I am really looking forward to this one and will be doing a study along with the students. 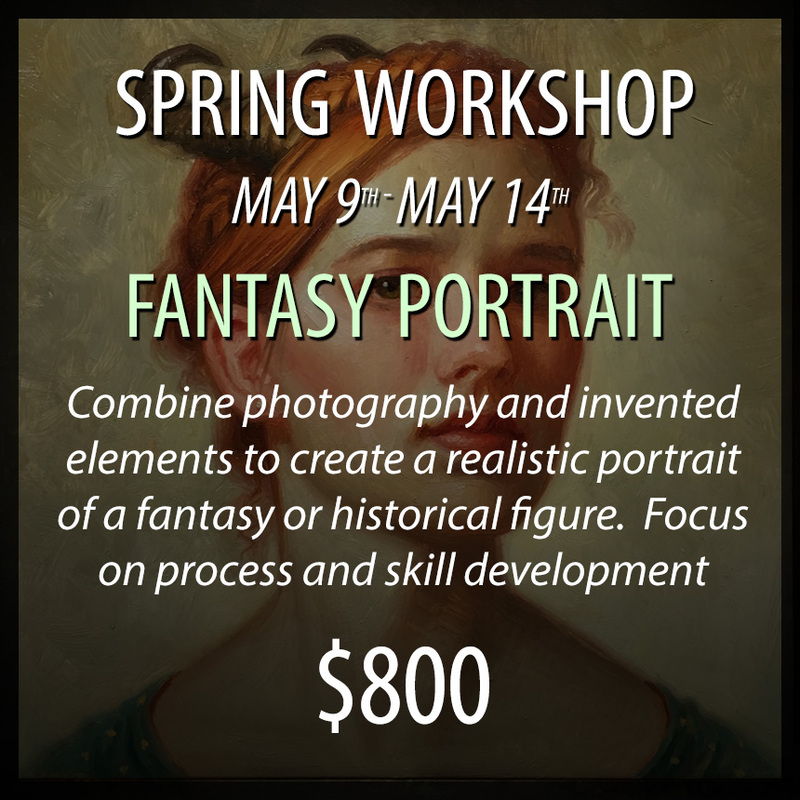 Lastly, stay tuned because sometime in the fall, Dan and I are going to be putting on a workshop in my studio with very limited enrollment. We will announce the timing and prices later this Summer. Can't wait!